In an Exclusive interaction with The Policy Times, Rahul Pillai, he Regional Director of India & Middle East, Interem, talks about the size and growth of the relocation industry, growth of the industry, policy concerns, current challenges and opportunities and Interem’s future plans. 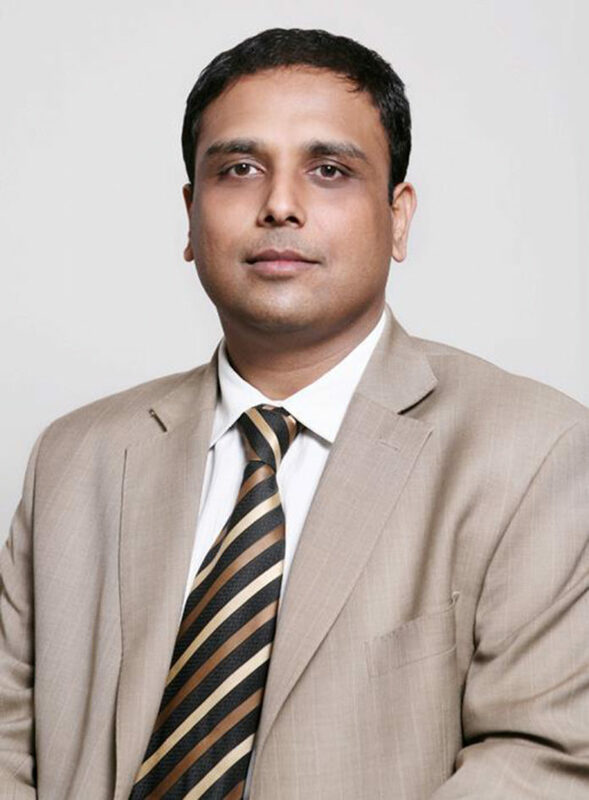 Rahul Pillai is the Regional Director of India & Middle East, Interem. He has over 14 years of extensive experience in the relocation industry with a distinction of making Interem a successful relocation brand in India. Interem Relocations is a leading player in the relocation industry globally with a formidable presence in Middle East & India. This is the 1st leading multinational relocation company to venture into the Indian markets in 1997. Interem is a part of the US $450 million Freight Systems Group, a dubai based multinational, founded in 1988, which has grown rapidly in its range of services, turnover and geographic coverage. Interem offers relocation services to more than 170 countries worldwide. Q. What is the size of Indian relocation industry? How do you see the potential and growth dynamics of this industry in coming years? RP: The relocation industry in India unlike in the US does not fall in the organised sector and hence it’s tough to give an exact estimate. Having said that the estimated size will be in between Rs. 1500-2000 crore. As the Indian middle class is growing along with our economy, mobility of employees has become very frequent. This along with the better purchasing power has made people acquire expensive goods which they wish to possess even when they move to a new city or location and look for a reliable partner. Basis the above there will be a double digit growth in the coming years as well. Q. Its major part is still unorganized, does it help you or does it create more challenges in expanding your business? RP: This does not help because they are predominantly fly by night operators who get people, material and truck on ad-hoc basis with no focus on quality. They also do not have any contractual obligation unlike companies like ours who focus and invest on these infrastructure and contingency plan. To sight an e.g. ; We will be having crew who come to your house and are police verified. Our material will be as per International standards of packing against someone who will pick local contracted labour who is not trained and material from a Kabadi Wala. In noways can we compete with such organisations as they offer a price pointer which is way too lower than us. Q. Experts feel that relocation is facing slow growth? Do you agree? What are the reasons for this slow growth if so? RP: That is not true at least for India. Its one industry that grows even in recession because people still have to move back or to a new place. In other places the concept of furnished houses and leased vehicles can attribute to reduction on the size of shipments but people still have to move. There might be some challenges if corporates want staff to work from home. Q. You have been in this industry for over a decade now. How much have things changed in comparison to last decade? RP: We now have been in India for 2 decades and I can call it a transformation. We participated in 3 booms which have taken this industry to the next level. The 1st was the BPO / IT & ITES boom of 2002, the telecom boom of 2007 and the E-commerce boom of 2014. The landscape has changed from the traditional moves we used to do for Banks and FMCG companies which is why I mentioned that its an exciting market to be in. Q. Do Governments have any role to play? Would you like any policy change in India? RP: We would glad to see Gov’t regulating the business and giving this business an Industry status. Q. Is there any difference in the policy structure or market in the developed countries and India? RP: Moving business in US and other markets is considered an industry and is regulated. The industry communicates with the gov’t and is part of the policy making process including national security. In India anyone can start this with absolutely no entry level barrier or infrastructure. This is certainly not good for the industry. Q. Except the big giants, still there is an aura of unawareness among people regarding relocation. How are you going to penetrate the market then? RP: There is a huge unawareness among potential customers. He is only looking at price and nothing else without even making an apple to apple comparison. The customer today is very shortsighted as they trust someone whom they have not even vetted and give the precious goods and once the move goes bad make all the noise. We have been sharing information about how to choose a right moving company in most places so that the customer gets educated. We are now asking customers who chose to go with someone else in place of us to share the bad experiences. We have 4 fake companies using our name and identity and customers get cheated by them. We are trying to run campaigns for the same. Q. What is your biggest achievement so far? RP: The biggest achievement for Interem is that we have become one of the leading Packing and Moving companies in India even with the toughest of competition in the B2B space. We have become preferred supplier for more than a 100 Forture 500 companies wherein we supported their staff movements and Office Asset Movements. Other than that we handled the packing and moving of the Worlds Largest Biometric Data Centre ( Adhaar Cards ) successfully. We were the only ones to be technically qualified to manage this project. Q. How much the advent of technology affected or benefited the relocation industry? RP: We have been ahead in embracing technology when it comes to our Industry. We have opted for one of the best CRM and ERP system way back in 2001. We now have going in for video surveys, paperless surveys with our new survey tab, warehouse in and out, material movement and tracking enabling us to enhance our efficiency and better turnaround time. Q. What are the future plans of Interem in short and long term? RP: We plan to grow as a Total Relocation Management Company and participate in the B2B as well as B2C business so as to enhance our market share to reach the Top position in our industry without compromising on our quality and profitability. Q. You have been associated with many popular brands like Google, Microsoft, Aditya Birla Group, Microsoft, Nestle, etc, still you are not as brand as Aggrawal movers and packers. RP: You have made an excellent observation and its good that question has been asked. Interem is part of the Freight Systems Group which has diversified business interest like Aggarwal’s. Aggarwal has done really well to brand its services by being on the print and TV unlike us who have chosen to focus on the B2B business with the Push strategy which we feel has ensured that we are able to retain customers and work on a better yield. We have always accepted that we cannot cater all the segments and would like to do a market skimming rather than pick every enquiry. Q.GST Benefit on Relocation Industry in terms of Business? RP: The pervious rate was 16 % and now its 18 %. However, we feel that Gov’t must specify what amount must be charged in the moving industry. Some companies who are registered as a Transporter but do packing and moving charge 5% GST which becomes a issue when a B2C customer is settling the bill as he considers this as a cost and compares the 5% against a 18% of the moving company. Q. Last, but not the least, what is the growth plan of Interem? At what height your company will grow after the implementation of GST? RP: As mentioned we see India as the fastest growing economy and see that more and more people will have a better income in the coming years and will move around. This surely will increase the demand for our services and as we get more structured. Interem will be part of India’s growth story as we are at a consolidation stage. Next articleWhy Brands Die? What is the Secret of their Survival?